What would you do if your vacation cruise ship was being attacked and you knew you were going to be killed? Would you fight? Would you hide? Would you try to escape? The adventure starts with The Jakarta, an elegant cruise ship sailing the exotic seas in Indonesia with a passenger list of ninety, unsuspecting people. Jane and her best friend, Remy, are just getting know the rest of the small group of young twenty-somethings when the ship is attacked by pirates. However, Leon and his band are not your usual pirates - they want something else. Jane and two male companions escape the horror, fleeing in a lifeboat. In their flight to escape Leon and his men, they become lost at sea for weeks, are out of water, and have nearly lost hope of ever finding rescue when they finally catch sight of land, a dangerous rain-forested island that seems deserted. However, their fight for survival has only just begun. They thought they had escaped, only to find they are caught in Leon's Lair. For some reason, even though the description of the book says the characters were on a "cruise" when they are attacked by Leon and his goons, I went into it thinking it was going to be a historical or regency type thing. You know- *makes sword motion with hand* - Pirates. But It was cool that is was a more recent setting. I mean, they are on a cruise ship. You fill in the timeline yourself. Especially a certain character in the second half. meep. He was interesting. Jane, Peter, and Nick's story was pretty interesting. Theirs is sort of a story of survival and romance. It felt like it dragged on a little bit at times, but I liked Peter. He was a pretty down to earth and relate-able character. (: Jane was a sweet and relate-able girl as well.I mean She liked to read- you know before she had to vacate the cruise and try to survive adrift at sea... lol. Nick was okay, too, for a rich guy. I found the paranormal/ related aspects to be interesting. I love Leo's description of how the Vampires came to be. 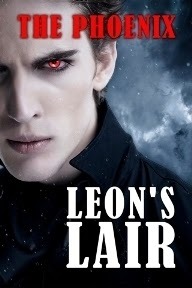 When we are in his head in the beginning of the book, he says that they are not the traditional vampires of legend. They are more I guess like cannibals- except they do it in order to not get sick and to survive. Since... here is the kicker... the Vampire..ness is a disease! What? I know. That is so cool. Apparently they were people who lived on a small island and were infected by rabid bats ^-^. They got the "disease" from the bats and the only way they can find relief is to drink/ eat human blood/flesh.. things. lol. I found that an original and interesting take on the vampires. Some of the other stuff was similar to regular vampires, but not much. Some parts did feel a smidge repetitive which hinders my reading process when I am trying to push my way through a long book. But it kept me interested, even though i had to reread some things and take a few breaks. Good read. Oh, oh, oh. My bad guy! Leon is one crazy mo-fo and was super mean and icky. . . I loved it. hehe. I liked that he had a large part of the book as well. I got to flip back and forth between the protagonist, the villain, and the side characters. Pretty cool read for lovers of horror, survival stories, and someone who wants to read something with a slight paranormal twist.